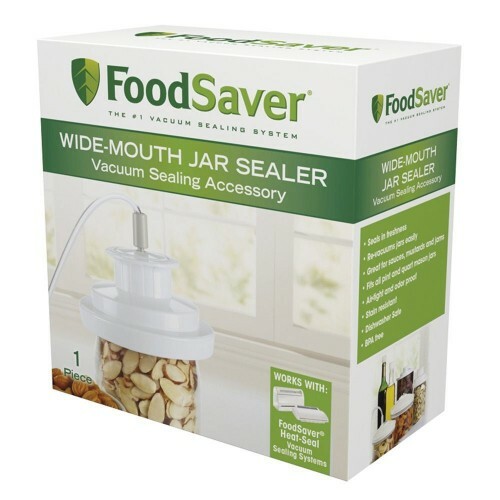 Don't just close those Mason-type jars, make them air-tight with help from this wide-mouth jar sealer from the experts at the FoodSaver brand. The handy one-piece attachment fits on pint- and quart-size, wide-mouth, Ball and Kerr Mason jars to create an effective vacuum seal that locks out air, sealing freshness in. Re-seal those handy food-storage jars again and again, using a standard Mason jar lid and the FoodSaver jar sealer.